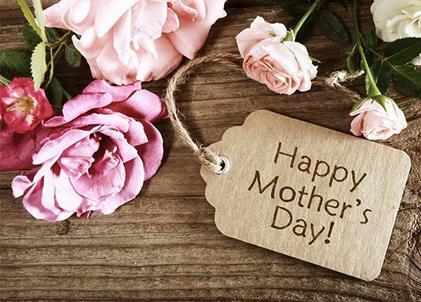 Mother’s Day is less than a couple of weeks away now, have you decided how you can treat Mum this year? If you’re still searching to find the perfect gift, you have come to the right place! Here at UK Water Features we pride ourselves in having a fantastic range of indoor and outdoor water features that are available all year through. So whether your mum is a green-fingered, gardening goddess or if she’s dying to update her home décor, why not show mum you care and treat mum to a gift from UK Water Features this year?! You might be surprised by how many of our fantastic products make amazing gifts! Our water features will appeal to all tastes and budgets, as well as being unique and thoughtful gift ideas, we’re sure mum will love! Why not treat mum to a brand-new Outdoor Water Feature this spring and summer? We have a gorgeous range of Outdoor Water Features in a whole range of styles and materials, so there’s bound to be something to suit any kind of garden, be it traditional or contemporary styled! For example, our gorgeous Stainless Steel Water Features make a fantastic addition to those modern style gardens, and are available in a whole range of shapes and sizes. Here are some great examples of these features that makes a fantastic gifts for mum, our 25cm Mini Avon Water Feature and our 30cm Stainless Steel Water Blade. These features are fully self-contained and made from high quality, grade 304 stainless steel, these features can be placed pride of place in mum’s garden for years to come! If mum likes something a little more traditional, why not try one of these features below? We love our 2 Tier Barrel Water Feature and our Watering Can and Bucket Feature. Our water features are easy to install and require very little maintenance so, no matter which style you choose, mum can be away enjoying her brand-new feature in no time at all! We’re sure mum’s looking forward to the spring and summer sunshine, and these Solar Powered Water Features will be perfect to add to the garden when this better weather comes around! Our Solar Green Glazed Frog Feature is great for adding character to your garden or patio and adds fantastic relaxing sounds to your space. We also have our Milk Churn Solar Feature which is NEW to our outdoor range this year and is perfect for mum’s traditional, country garden. Since the weather hasn’t quite picked up yet, maybe mum would prefer an Indoor Water Feature? This range is also great if your mum has limited garden space! Going back to the more modern style of water feature, this Orb Feature with Stone Base is a great indoor alternative to the stainless steel features mentioned above. This will sit nicely on any table top surface, side table, window ledge or shelf and can be enjoyed all year round – no need to wait for the sunshine! We think mum will love this feature too, as it can be enjoyed during both the day and night! The crystal ball sits inside the feature and water bubbles underneath it and trickles into the bowl below. During the night lights illuminate the crystal ball making it a very special decoration at all times of day! Our Slate Falls Open Back Water Feature would certainly make a great gift this Mother’s Day! Give your mum the gift of Zen this Mother’s Day and check out these calming water features with an oriental inspired, Buddha theme. These fashionable styles of water feature make the perfect gift for any room of the house, and are great for traditional and contemporary spaces. We also love these attractive and sentimental designs, perfect for Mother’s Day! Why not try our Heart Shaped Arch Lit Indoor Water Feature or our Family with Crystal Ball Feature, which will both sit nicely on a table top, shelf, window ledge or other surface. Not only do they look attractive with the water bubbling at the top of the feature and the LED lights illuminating the feature through the night too! We hope this blog might have given you a little inspiration if you’re needing a bit of a last-minute gift idea to treat your mum this Mother’s Day! Head over to our UK Water Features website and check out these amazing products and many more that make thoughtful and unique gift ideas for mums with all tastes and styles!